students prepare for the NCLEX exam. 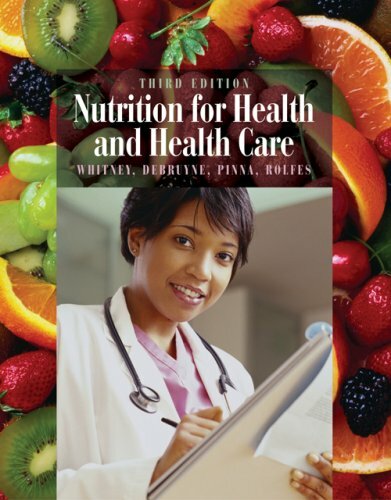 Plus, beyond the text, there are a number of supplementary materials, including the Instructor Resource CD-ROM with PowerPoint lecture slides and text images, Diet Analysis+ 8.0, and Web support for online teaching. Kathryn Pinna received her M.S. and Ph.D. in nutrition from the University of California at Berkeley. She has taught nutrition, food science, and human biology courses in the San Francisco Bay Area for over 25 years and has also worked as an outpatient dietitian, Internet consultant, and freelance writer. Her other publications include the textbooks Understanding Normal and Clinical Nutrition and Nutrition for Health and Health Care. She is a registered dietitian and member of the American Society for Nutrition and the Academy of Nutrition and Dietetics.